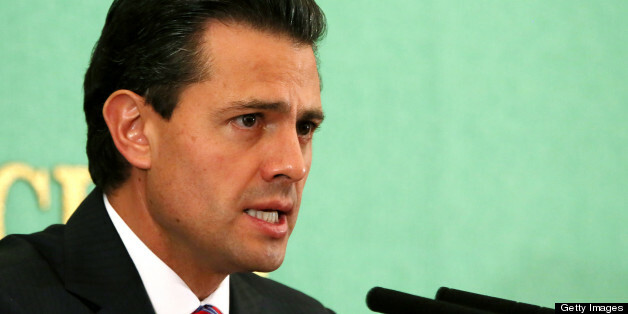 Can President Peña Nieto Deliver the Goods? Mexico's President Peña Nieto was handed a poor set of cards when he assumed power last December. His predecessor, Felipe Calderon, was brought down by a bloody war against the drug cartels that led to more civilian deaths than the total number of U.S. troops killed in the wars in Afghanistan and Iraq combined. Mexico's GDP per capita shrank more than seven percent between 2008 and 2010. And Peña Nieto received just 38 percent of the popular vote representing the Institutional Revolutionary Party (PRI) -- which had a corrupt and authoritarian past for much of Mexico's modern political history. While economic and security conditions have improved under his brief leadership, it cannot yet be said that President Peña Nieto has earned the average Mexican's trust, or that his honeymoon period will last. Between December 2012 and March 2013, Mexico's homicide rate decreased 14 percent year-on-year, but many Mexicans remain justifiably skeptical that this trend will continue given the ongoing drug-related violence in many parts of the country. Early in Calderon's presidency, the national army was sent to confront the drug cartels and the homicide rate also declined, only to be followed by a surge in killings that cost more than 60,000 lives. Peña Nieto is approaching the drug war differently by emphasizing the need to reduce violent crime rather than taking on the drug cartels full throttle. He has stated his opposition to any truce with the cartels, as well as to drug legalization. It remains to be seen whether the conditions that prevail for the remainder of his term will compel him to reconsider his approach, especially given the prospect that the power of the cartels may increase, and the Mexican government could lose de facto control of parts of the country (some would argue that is already the case). The human rights violations committed by the Mexican military under Calderon, and the government's inability to protect citizens from the cartels, have led many Mexicans to lose trust in the government. At the heart of the new president's agenda is his ambition to reassert the power of the state by strengthening Mexico's judiciary and police force. In spite of the scope of his ambition, these proposed institutional reforms enjoy widespread support across the political spectrum. Calderon's government estimated that the drug war reduced Mexico's annual growth rate by a full percent point. It is therefore clear that prospects for sustainable economic growth are dependent on the success of Peña Nieto's institutional reforms, and the extent to which he can reduce the impact of the cartels on Mexico's economy. The young president has also proposed ambitious economic reforms that seek to reverse the country's record of crony capitalism and failure to effectively develop the country's oil and gas industry. Though he has taken the idea of the privatization of Mexico's state-owned oil company (Pemex) off the table, serious reform of the sector and the company appear to be in the offing. Peña Nieto favors permitting Pemex (Mexico's largest company) to establish joint ventures with foreign firms to enhance its capacity to extract oil and gas from deep-water reserves. The nationalization of Mexico's oil industry has been a linchpin of Mexican nationalism for the past three-quarters of a century, so it remains to be seen whether Peña Nieto will be successful in spearheading a real transformation in how Mexico cultivates the benefits of its oil wealth. While many Mexicans fear that foreign energy firms will exploit their nation's petroleum sector, they also recognize that Pemex is poorly managed and energy reform is necessary. Earlier this month Pemex and ExxonMobil signed a five-year technical agreement to collaborate in areas of technology, research, science, exploration, drilling, transportation, storage and production, which indicates that Peña Nieto's energy plans are being given a chance to work. Peña Nieto has also called for the creation of a new regulatory agency with antitrust authority to bring meaningful competition to the broadcasting and telecommunications arena, challenging powerful entrenched business interests, including Carlos Slim, the world's wealthiest person and Chief Executive of Telmex (a telecommunications conglomerate that holds monopoly-like control over this market). Peña Nieto has promised to bring competition to the market, yet it remains to be seen how, or when, this will occur. Peña Nieto is attempting to foster competition with legislation that would create two new television channels, which is being fiercely opposed by Slim and his allies. Peña Nieto's proposed education reforms, which seek to end the practice of buying and selling teaching positions, have incensed unions that claim his agenda will lead to the privatization of the educational system. The teachers' violent demonstrations that targeted government buildings in Guerrero state several days ago underscore the controversy and sensitivity surrounding Peña Nieto's position on this issue. It also demonstrates that he will not hesitate to take on sensitive issues and entrenched interests in other sectors. The PRI, which had virtual monopoly control over Mexico's political system for 71 years until it was defeated in 2000, created a legacy of authoritarianism, corruption and cronyism that remains strong in Mexico. Peña Nieto has assured Mexicans that today's PRI is a democratic party that seeks to move Mexico forward. Given his record as Governor of the State of Mexico (which remained under PRI control following the opposition PAN party's 2000 and 2006 victories), Peña Nieto has clearly associated himself with the old guard in the PRI, which is why many of his promises for reform have been met with varying degrees of skepticism by Mexicans. He has much to prove. Peña Nieto is seeking to bring security to a country convulsing with bloodshed while fundamentally reforming the political system and oil sector, and breaking the backs of the oligarchs. Such a task seems impossible to achieve in total, and would surely take decades to do so in the best of circumstances. The most Mr. Nieto may hope to accomplish during his remaining time in office is modest success on any of these fronts. It may take his full six-year term to convince the average Mexican them that he meant what he said when he was elected. Breaking the monopoly of Mr. Slim and reforming Pemex would be a good start, and would also serve to demonstrate that the PRI is indeed interested in moving Mexico forward. It will take every ounce of his determination and perseverance to make it a reality. 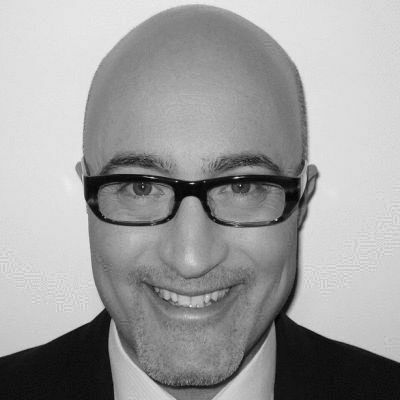 Daniel Wagner is CEO of Country Risk Solutions, a cross-border risk advisory firm, and author of the book "Managing Country Risk". 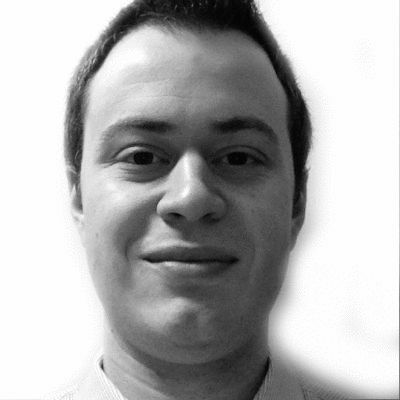 Giorgio Cafiero and Nicholas Parker are research analysts with CRS based in Washington, D.C. and Denver.